How To Detox The Brain Naturally is a second part to a mini series of brain inflammation and brain detox that outlines herbal remedies for brain detox. How to detox the brain naturally is an important topic that most are unaware of. As a result, there is a huge portion of the population who suffer from both neurological and psychiatric disorders. Chronic brain inflammation and brain toxicity are more prevalent today than ever before. How to detox the brain starts with a full body detox and then ends with a brain detox. Detoxing the brain is typically a longer process that doesn’t happen overnight. I will also say that the ingredients necessary for brain detox are not cheap ones. They tend to be some of the higher priced nutrients out there. The best brain detox is one that first starts with the correct ingredients and ultimately ends with high quality ingredients. Skimping on brain detox supplements is never a recommendation of mine. A true cellular detox that actually works at a cellular level to cleanse out toxins and truly works is a rare find. Many people find hype detox products on the web that are cheap and purchase them expecting a miracle. You need real science and a real cellular detoxification system to truly get to the root cause. The Brain Bright DTX is the best brain detox. 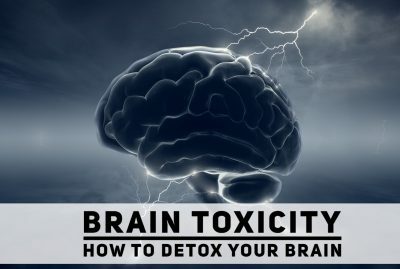 When it comes to how to detox heavy metals from the brain you would use this same method. 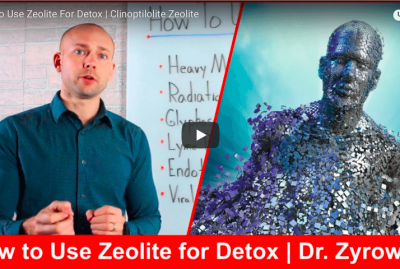 The glutathione, alpha lipoid acid, phosphotidyl serine, and all the ingredients mentioned are very key factors in the road of upstream detoxification. The synergistic effect of combining all of these ingredients together is important for good results. 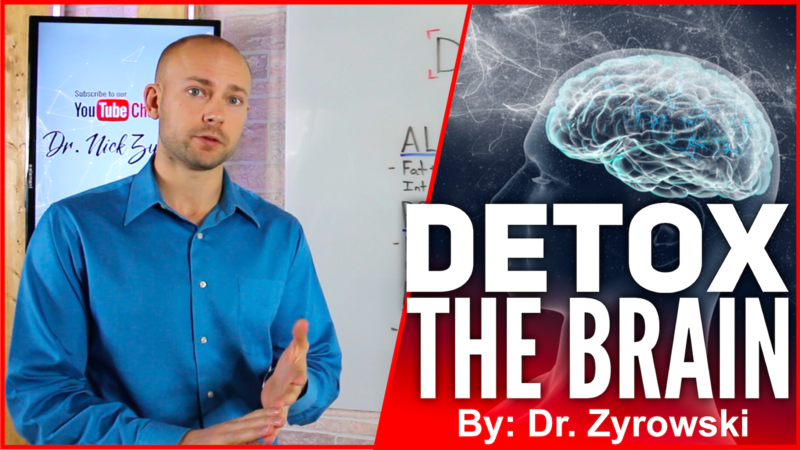 In this video we’ll discuss how to detox the brain naturally. Hi ladies and gentleman it is Dr. Zyrowski and if you are new to the channel, it is a pleasure to have you here. Be sure to subscribe, hit that bell notification and join our notification community so I can help you excel your health and your life. 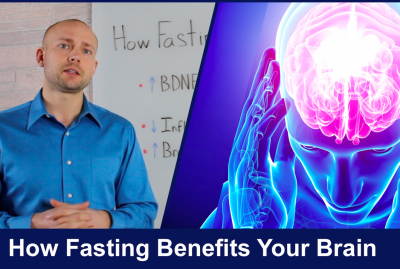 In this video, we’re talking about how to detox the brain naturally. This is so important because there’s many people today who are suffering from neurological conditions and psychiatric disorders as a result of a very unhealthy brain. And so, when we look at the brain, what happens is it can become very neurotoxic and so, the cool thing about the brain is it actually has its own ability to detox and so, when we look at the brain and its ability to detox, there is a set of enzymes called the cytochrome P450 enzymes and what they do is they actually break down toxins and remove them from the brain. But what happens, unfortunately, is when the brain becomes inflamed, the brain does not function well, the brains unhealthy. Essentially what happens is this detox system within the brain stops functioning correctly and the brain becomes very toxic. And so, what we have to do is we have to make sure that the brain has proper micro-nutrient function, it has antioxidants in order to reduce free radical damage. And so, what we’re going to talk about is the topic micronutrients and antioxidants that you can use in order to support brain health, support brain detoxification and keep your brain function at optimal levels. 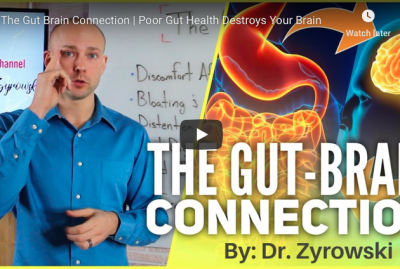 Now, I also want to mention that this is part 2 of a brain detox video series that I did. So, if you haven’t seen part 1, I’ll link that in the description below because it might help this make a little bit more sense and also really stress the importance of brain detox. Now, the first ingredient on our list here is going to be ALA which stands for alpha lipoic acid. You’re going to see me use a lot of different abbreviations because these words are all very large, we would have been way off the board in order to get them all on. So, alpha lipoic acid is very important in this process because it acts as both a water-soluble fat and an antioxidant. Now, this is really important in order to support intracellular and extracellular antioxidant protection in the brain in order to reduce free radical damage. Now, the other reason that ALA is really great is because it has a very low molecular weight. It’s easily absorbed in the gastrointestinal tract, it also is able to cross the blood brain barrier, so it’s able to actually get to the brain in the force place and then it supports recycling and regeneration of key antioxidants like glutathione, vitamin c, and vitamin e and if you’ve seen some of my other videos, you know that when it comes to glutathione, it’s important not only to supplement with it but also to make sure that you are working on recycling it. And so, that’s go ahead and talk about the next ingredient here. And then, the next one is, phosphatidylserine. So, when we look at phosphatidylserine it is a very potent, phospholipid that is in the brain at very high amounts and so, what we look at when we see phosphatidylserine is its important role in neuronal energy production and communication. When we look at the different studies out there that are done on people who have supplemented with phosphatidylserine, what it shows is that it actually increases both memory and cognitive function of the brain. So, what we want to do is actually use this phosphatidylserine to act as a nutritional support and structural support for the brain. The next key nutrient in the detox process is going to be NAC which stands for N-Acetyl Cysteine. Now, N-Acetyl Cysteine is a precursor to the brains most powerful and potent antioxidant, glutathione. So, as we raise N-Acetyl Cysteine levels we raise glutathione levels and as a result of that what we’re going to have is, we’re going to have a decrease of free radicals in the brain and a decrease in oxidative stress and oxidative damage in the brain. So, this is absolutely crucial and absolutely key to detoxing the brain. The next ingredient here in the brain detox process is, Acetyl-L-Carnitine. This place a multi-fasted role as a neuro protector. It also is very important in producing neuronal energy and so, what we’re going to find is that this Acetyl-L-Carnitine is going to act as a very powerful antioxidant that protects us against toxic chemicals and stress induced damage. 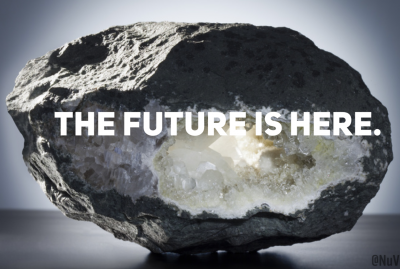 It also is going to help carry nutrients into the mitochondria and help carry the waste from the mitochondria. And, the last thing that the Acetyl-L-Carnitine is going to do and support us in this process is, it’s going to actually support the neurotransmitter, acetylcholine, which is very important for both learning and concentration. The next key ingredient on our list is going to be CO-Q-10. And for some of you., you may be thinking, finally something I’ve actually heard of. But, when we look at CO-Q-10, it is also a very powerful antioxidant in this whole process. It going to support the electron transport chain which is ultimately going to increase ATP within the cell which is ultimately going to increase cellular energy. Now, as a result of this, we’re going to see a support in decreasing free radical damage, we’re also going to see support in reducing the oxidative stress and damage on the brain which ultimately is going to decrease neuro-degeneration. Now, the last ingredient here and a key nutrient that we have on our list is, sulforaphane glucosinglate. and, this is probably one you haven’t heard of. Now, this is a very powerful ingredient and nutrient for many reasons. And so, first of all, what it’s going to do is up regulate the NRF2 system which is going to increase antioxidant activity and its also going to up regulate Phase 2 detoxification which is very important from moving toxins from the body such as xenobiotics. And so, when we look at all these different key nutrients here, they’re all very important in the detox process in supporting the brain health. There’s so many people out there who are suffering from neurodegeneration, psychiatric disorders and the list goes on and on. 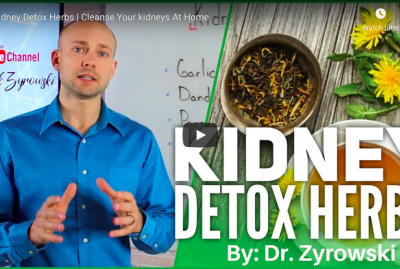 So, in order to really detox the brain, get those toxins out, decrease brain inflammation and really support the overall brain health, these are where you really need to go. Now, we do a lot of different detox in the clinic with different patients, okay. So, we actually have a formula that we use that includes all of these, okay. Some people may just want individual nutrients here and for the people who are really looking to make some effort towards better brain health then, they use this formula. And we use it day in and day out and it offers incredible brain support for our patients and so, I’ll put a link to that below. But, once again, utilize these different nutrients here because this is what is really necessary to detox the brain and offer the proper brain support that is necessary for good brain health for a long period of time. And so, give this video a thumbs up, share it with your friends so that they know how to properly detox the brain. And then, if you have any questions, put it in the comments section below, I always do my best to never talk over anybody’s heads in my video but, I understand that this one was a little bit heavy and so, put any questions you have in the comments section below. And then, check out my others videos, and subscribe to my channel here, and I’ll see you in the next video.